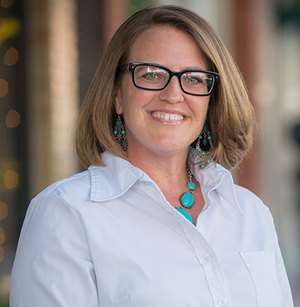 PUEBLO -A 2001 graduate of Colorado State University-Pueblo and first-year legislator representing House District 46 will share her insights with Colorado State University-Pueblo graduates in May. Daneya Esgar will present the Commencement Address during the spring ceremony beginning at 10 a.m. on Saturday, May 2 at the Colorado State Fair Events Center. A Pueblo native, Esgar has been a strong a community leader and political activist for those who need a strong voice since earning a mass communications degree from CSU-Pueblo in 2001. She began her career path at television station KOAA, climbing the ladder from running cameras to producing newscasts. She then held various positions at CSU-Pueblo, including student event coordinator, academic advisor, and retention and recruitment advisor for the Upward Bound program. Esgar has been a familiar face in recent community struggles. She has worked closely with local families throughout the community who have sought to improve local law enforcement. She is well-known on the grassroots level for her hands-on work on issues of equality, education, justice, and poverty within the community. She has served as president of the board of the Southern Colorado Equality Alliance (SCEA) and coordinator of the OutFront LGBT Youth Group, and most recently was a lead community organizer for the Colorado Progressive Coalition/Colorado Progressive Action. She has been recognized for her work in the Pueblo community, Colorado Springs Pride named her Community Activist of the Year in 2012, named to OutFront Magazine's Power List, and named SCEA's Person of the Year in 2014. Esgar ran unopposed as a candidate in the election for the Democratic seat in the office of Colorado House of Representatives District 46, later defeating Republican Brian Mater in the November general election. "Daneya has admirably demonstrated civic engagement, a quality that we aim to foster in all of our graduates," said CSU-Pueblo President Lesley Di Mare. "She is proof that with persistence and dedication, individuals can make a difference in their communities and that is a tremendous message for our students to hear as they enter the next chapter of their lives." On May 2, guests at the commencement ceremony may arrive at 8 a.m. in order to secure seating, which is on a first-come, first-served basis. Following the commencement ceremony, the CSU-Pueblo Alumni Association will sponsor a reception for graduates and their guests. For more information about the CSU-Pueblo Commencement ceremony, visit www.csupueblo.edu/commencement.